I’m heading down to New York for the weekend and will be attending my very first football game while I’m there. I’m not what you would call a sports person. But tailgating? I can get behind that. Enjoying a cocktail and dinner off the grill in my warm quilted jacket on a cool Fall day — that’s what I’m exciting about. 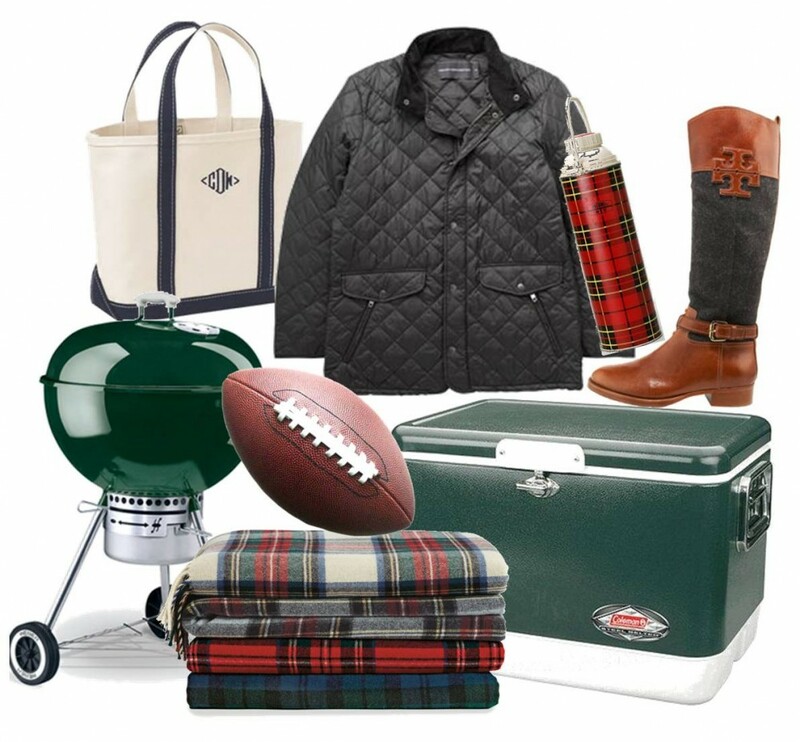 I have been informed that tailgating in the parking lot at an NFL stadium is not going to be the preppy dream that I had envisioned in my imagination — but that’s not going to stop me from bringing my monogrammed boat tote! A dash of detail. Bridal shower. Perfect picks, hope you stay warm! Perfect items, and enjoy yourself!